Today, we have over 840,000 registered customers looking for boats. 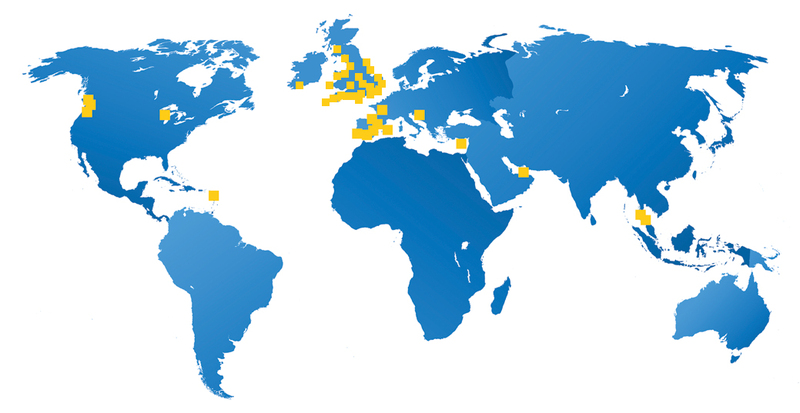 We have 60+ branches worldwide. Based upon independent industry statistics, we sell boats twice a quickly as other brokers! I was not expecting to sell my boat so quickly and at a great price. The Boatshed broker was present at every stage of the process and took a close interest, keeping me fully informed. His knowledge, expertise and involvement brought about a speedy conclusion. Your local Boatshed Broker will make an appointment to visit your boat. We take unlimited photos, videos & record your boats full inventory, this takes approx 1.5 hours. As soon as your boat goes live on Boatshed, it gets marketed across all Boatshed offices 50+ across the world. Plus we can also tick a box which sends your boat to Yachtworld, Boats.com, The YachtMarket and many more, your local broker will advise. As soon as your boat goes live on Boatshed websites, your broker will send your boats first marketing campaign, targeting only active profiled buyers who are looking for a boat like yours. Your local Boatshed Broker manages all customer enquiries, questions and requests for information and will keep you fully informed at all times. we accompany all viewings and we relay all offers to you for your consideration. All monies are placed in a secure Clients account. We handle the sale from start to finish, keeping you informed throughout. You only pay for our service if we are successful in finding a buyer.